The EOS C300 Mark II Digital Cinema Camera’s re-designed imaging system includes dual DiG!C DV 5 image processors, which work in concert with the camera’s advanced Super 35 CMOS sensor and XF-AVC codec to enable a wide variety of image quality and feature improvements. These include 15 stops of dynamic range, Canon Log 2 recording, Dual Pixel CMOS AF, simultaneous 4K and HD proxy recording, and 2K/Full HD frame rates of up to 120 fps. CFast (CompactFast) 2.0 cards are the next-generation mass-storage media employed by the EOS C300 Mark II for in-camera 4K video recording. The EOS C300 Mark II Digital Cinema Camera features two CFast card slots, each of which is protected by a convenient hinged cover. The camera also includes an SD card slot for HD and Proxy recording. For example, the camera can simultaneously record 4K on two CFast (2.0) cards along with 2K proxy images on its SD card for off-line editing. The EOS C300 Mark II Digital Cinema Camera features a new log gamma designated as Canon Log Gamma 2, which was designed explicitly for the camera’s 10-bit recording capabilities. The files produced using Log format are ideal for colour correction/grading in post-production, providing users with a high level of creative freedom while minimizing degradation of image quality. When using Canon Log 2, the Cinema EOS C300 Mark II can provide a dynamic range up to 1600%. Users can now set the Canon Log 2 gamma profile which achieves a uniform output n a wide area of the log space making it easy to perfom post-processing. The EOS C300 Mark II Digital Cinema Camera features the newest generation in Canon Dual Pixel CMOS AF Technology. Each pixel in the camera’s CMOS sensor is configured with two photodiodes. Two independent image signals can then be detected at each photosite. By implementing phase-difference AF, smooth focusing is accomplished using Canon EF lenses with much higher speed and accuracy than was possible with previous technologies. The DAF focusing area has been expanded on the EOS C300 Mark II Digital Cinema Camera to approximately 80% (vertically) x 80% (horizontally) of the image area. The focusing area can also be moved using the camera’s 4-direction key, allowing the user more control of AF operation. The EOS C300 Mark II Digital Cinema Camera also offers Face Detection AF using Canon EF lenses in addition to providing this capability with existing STM lenses. Working together with Canon Face Detection technology and Tracking Priority AF, Dual Pixel CMOS AF is excellent at automatically recognizing a face, focusing on it, & following it while it moves. Utilizing the Dual Pixel CMOS AF information focus-assist information is displayed on the screen. 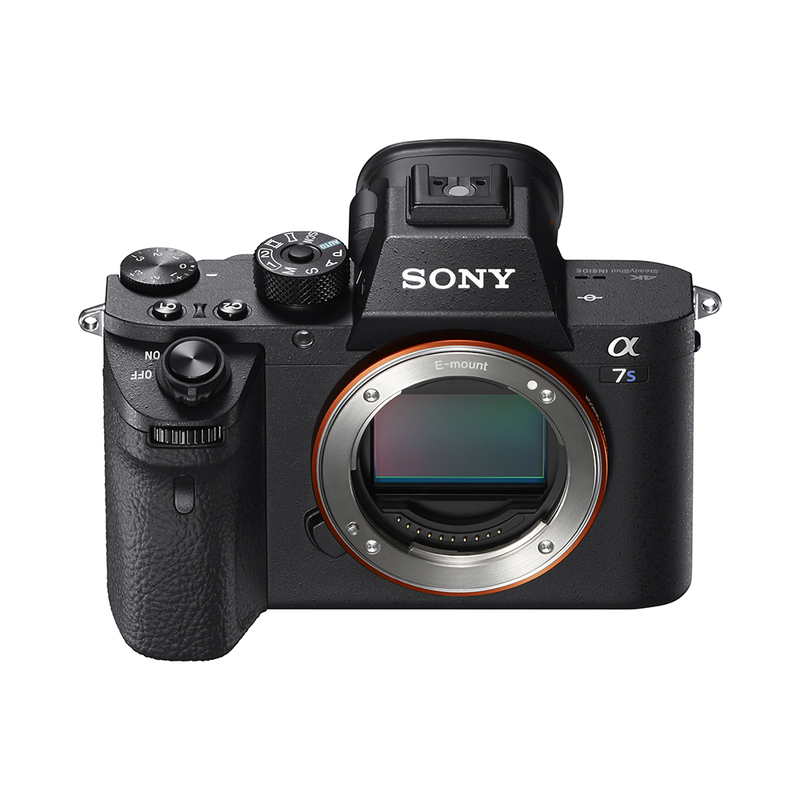 It employs a truly innovative user interface that enables the user to see if they are focused in front of or behind the subject through visual observation, and allows quick and accurate manual focus to be achieved. The guide area can be moved using the 4-direction key,provided that the area is within the Dual Pixel CMOS AF range. 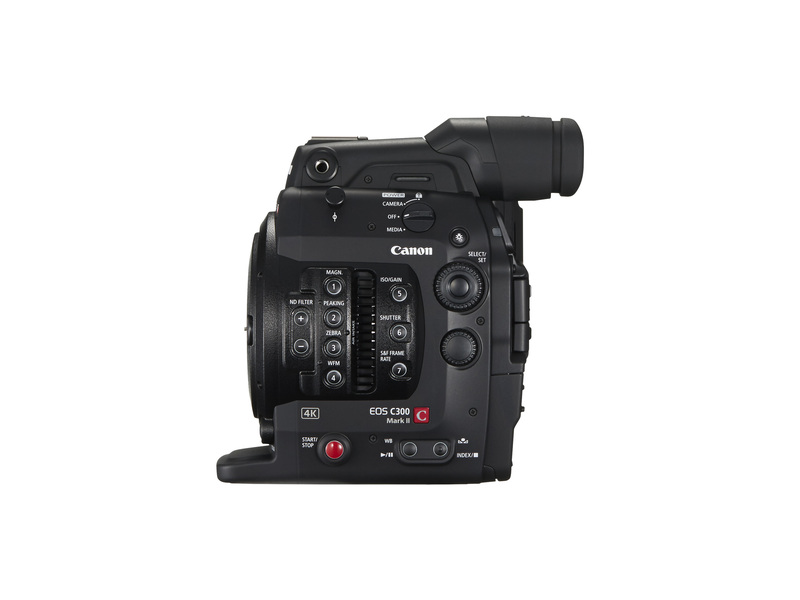 The EOS C300 Mark II Digital Cinema Camera incorporates the new Canon XF-AVC codec that allows 4K image data to be recorded internally onto CFast (2.0) cards. 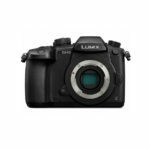 (The camera features two CFast card slots and an SD card slot.) This makes it easy for users to record high quality compressed 4K images in the camera body without the need for external recorders. 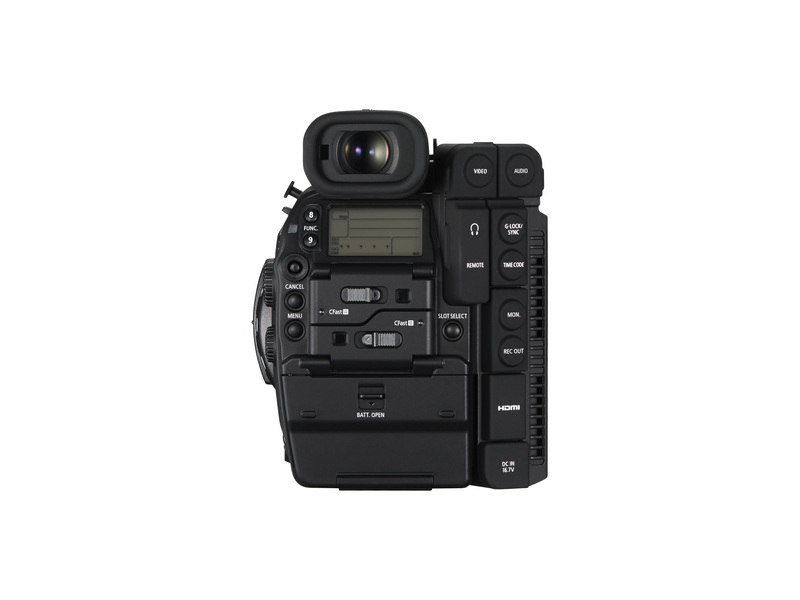 If full uncompressed RAW recording is needed, the EOS C300 Mark II Digital Cinema Camera can output its signal through dual 3G-SDI outputs to an external recorder. Multiple recording modes, resolutions and frame rates make the EOS C300 Mark II Digital Cinema Camera creatively flexible and able to work in any production environment. 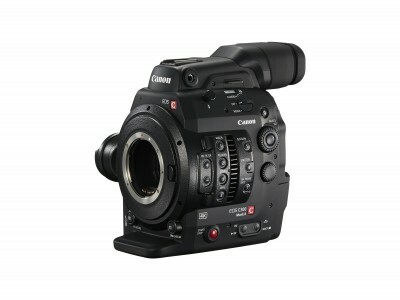 A major aspect of the creative filmmaking potential of the EOS C300 Mark II Digital Cinema Camera is its compatibility with the full range of more than 100 Canon EF and EF-S photographic lenses (including specialty tilt-shift and fisheye models) and Canon’s 4K CN-E Cinema prime and zoom lenses (including the “ENG-style” Canon CINE-SERVO zooms). Improved EF lens communication capabilities of the EOS C300 Mark II Digital Cinema Camera provide the display of CN-E Cinema lens T-values, compatibility with Dual-Pixel CMOS AF, lens metadata acquisition, and chromatic aberration correction. Users wishing to employ PL-mount lenses can convert their EOS C300 Mark II Digital Cinema Camera at a Canon Service Center. The EOS C300 Mark II can be modified at a later point in time for a fee by authorized Canon Cinema EOS service centers for users who prefer either locking EF mount or PL mount. The EOS C300 Mark II Digital Cinema Camera builds on the innovative and efficient ergonomic design of the original, while also providing new advantages. Redesigned from the ground up to maximize shooting comfort and usability improvements asked for by users, the EOS C300 Mark II Digital Cinema Camera’s modular design allows different components to be added or removed as needed to not only meet the demands of a particular shooting environment, but to also maximize the comfort of the camera operator. 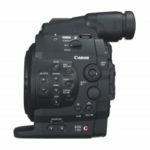 In addition to the core body of the EOS C300 Mark II Digital Cinema Camera, the EOS C300 Mark II Digital Cinema Camera comes with a removable hand grip, improved low-angle camera handle extension with additional attachment points, and removable LCD monitor and control panel with XLR audio inputs. 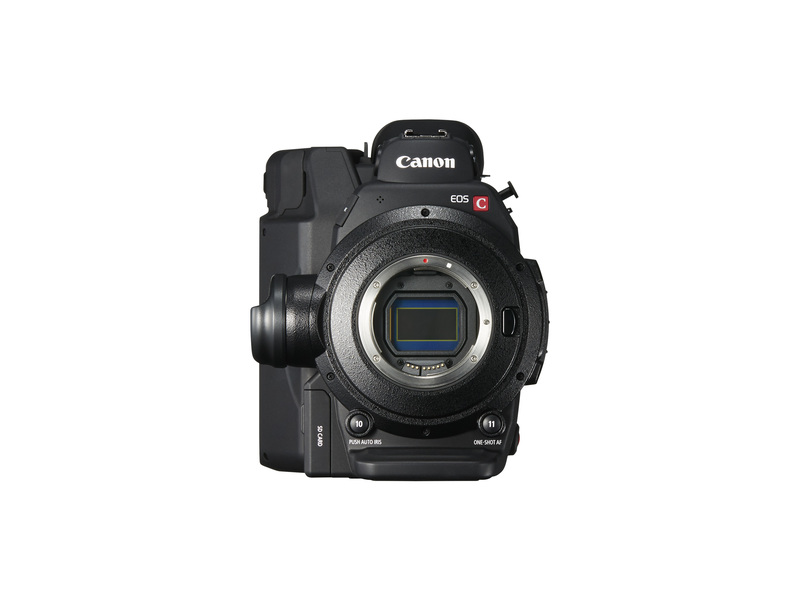 The EOS C300 Mark II Digital Cinema Camera features a 0.46 Inch 1.77 Megapixel colour OLED EVF (Organic Light Emitting Diode Electronic ViewFinder). OLED technology increases the colour reproducibility, contrast and response of the viewfinder, making camera operation and the judging of image characteristics seen in the viewfinder much easier. 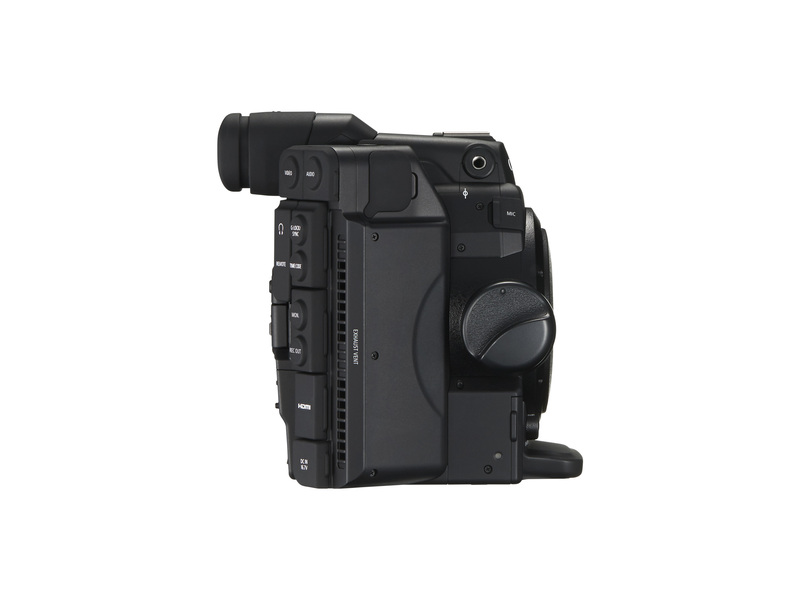 The EVF also offers 60º of tilt for more comfortable operation in a variety of positions. The EOS C300 Mark II Digital Cinema Camera supports the Canon RC-V100 multi-functional remote controller for enabling image quality adjustments and camera operations to be set from a distance. The EOS C300 Mark II Digital Cinema Camera is also LANC compatible and supports a variety of LANC accessories from third-party manufacturers. 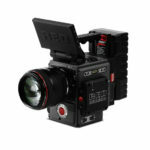 The EOS C300 Mark II Digital Cinema Camera is also a fully manual digital camera. Users of the EOS C300 Mark II Digital Cinema Camera have full manual control of all camera functions including iris, shutter speed, gain, zoom, focus, and audio, giving them the ability to adapt to both technical and artistic challenges when shooting. For maximum customization, users have access to Custom Picture Settings, Custom Functions, and Custom Display Options to tailor the camera precisely to their needs..